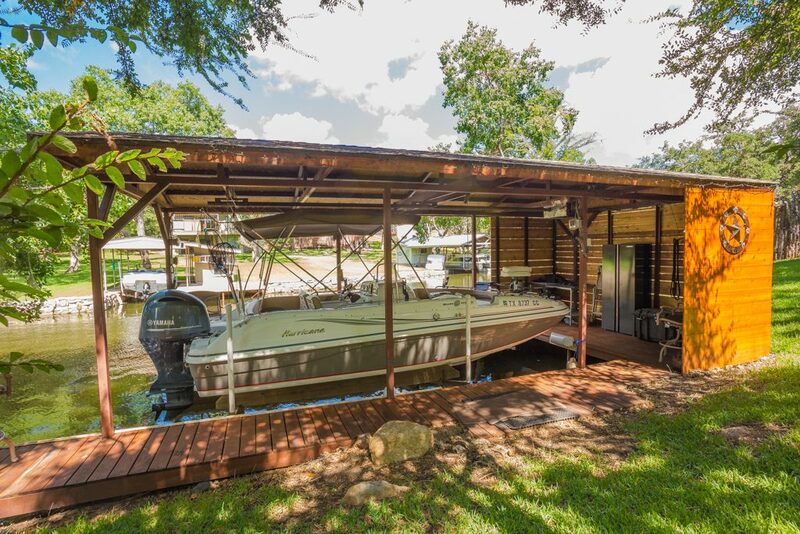 Finding the right property can be very hard in today’s very tight market on Lake LBJ. Inventory is extremely limited and prices are setting records on the lake. Good deals are very hard to come by but if you are willing to step outside of your comfort zone and trust the Lake LBJ real estate expert you might find your dream home. Take a look at 136 Winding Way in Sunrise Beach. 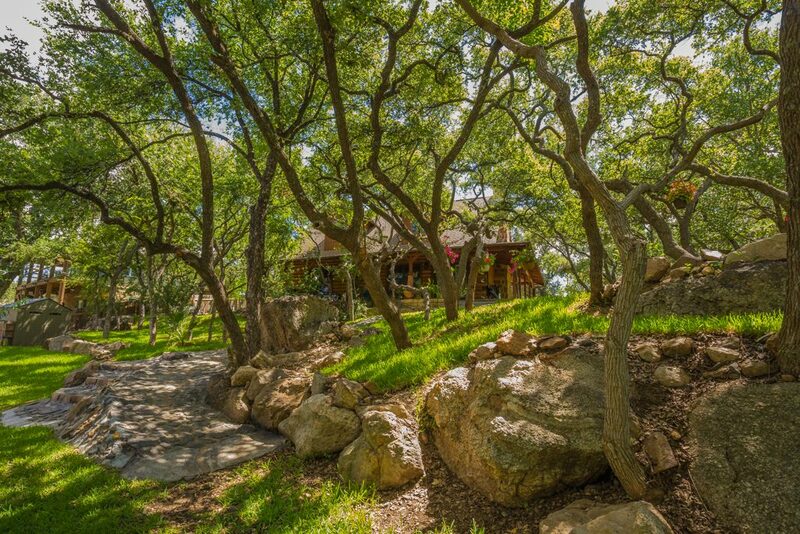 For starters, this property is one of the most unique settings I have every seen on Lake LBJ. The large, tree-studded lot is full of great live oak trees providing lots of shade with lush St Augustine gently rolling down to the water with rare and unique granite outcroppings and boulders to accentuate the landscape. There is a nice concrete bulkhead in place and a steel constructed boat dock already built to house your boat. 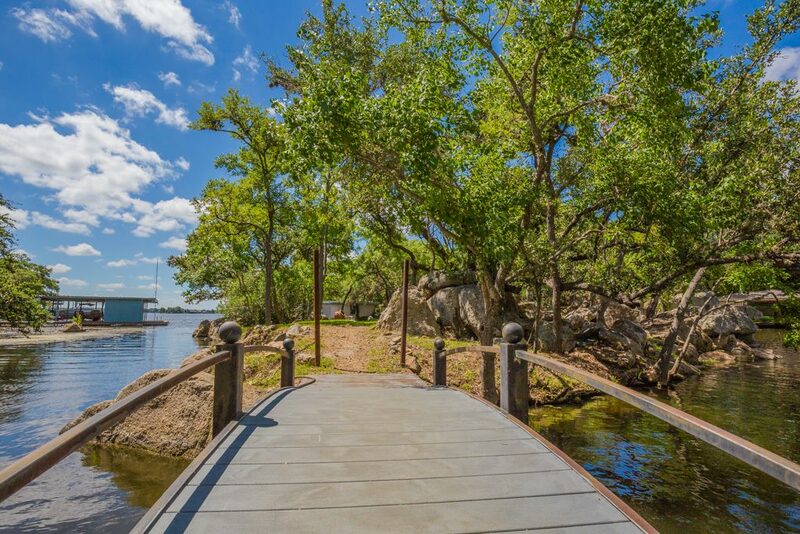 Down by the water’s edge is a small bridge leading you across the water and onto your own private island with open water views of Lake LBJ. There is a small swimming hole at the water’s edge and great room to spread out and play by the lake. How many properties have you seen that have an island? I only know of a handful and they can be counted on one hand. The house is a 2009 built log-style cabin with 2 bedrooms, 2 full baths and a useful sleeping loft for overflow. The house boats huge branches used as support and has old barn wood flooring on the second floor to accent this Lake LBJ getaway. 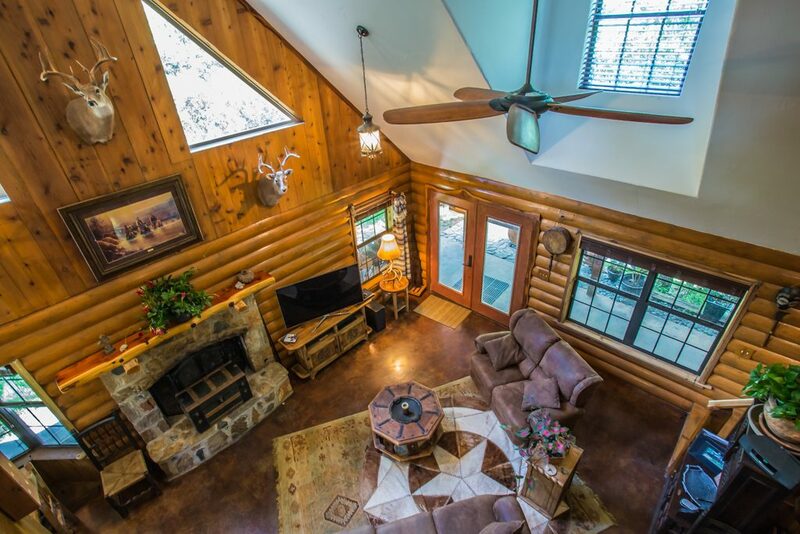 The house has stainless appliances, gas cooking, high vaulted ceilings, stained concrete floors, a full size laundry room and the perfect, wrap-around porch to sit out and enjoy Lake LBJ. What I find interesting is that most buyers have unrealistic expectations when it comes to price and what one should expect in such price range. 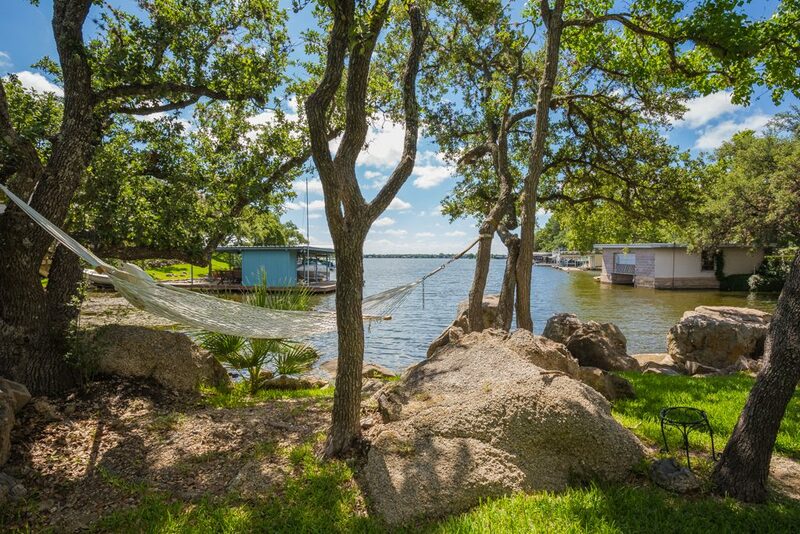 If you ask me, this is hands down one of the best deals on Lake LBJ and I am more than confident that someone will be very happy owning this Lake LBJ dream. If you are ready to make a good buy on the lake then call me today at (512) 786-1515! I am here to assist with all your Lake LBJ real estate needs.